A new CD by Baltimore-based extreme push band Charm City Sound that pushes the limit in contemporary polka music by infusing rock, pop, latin and even orchestral styles into this colorful holiday recording. 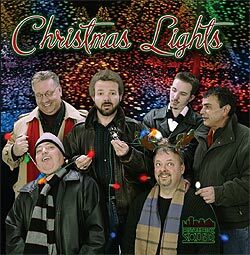 Favorites like "God Rest Ye Merry, Gentlemen", "Little Drummer Boy", and "What Christmas Means To Me" are done in their unique style, along with some Polish folk songs and 8 original compositions. MP3 "The First Six Letters of 'Christmas'"
MP3 "Lots Of Butterfly Kisses"